One of the most popular John Rosemond addresses to date! Available ONLY on Rosemond.com! John Rosemond shares his common sense approach to problems encountered by parents of children of all ages. 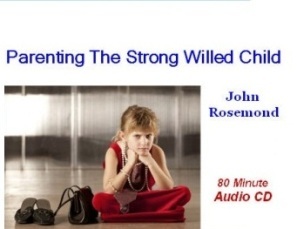 This recording was produced in San Diego, CA, and is the newly updated audio version of the “Parenting the Strong-Willed Child” DVD which was produced over 10 years ago and made famous as a featured presentation on PBS stations.